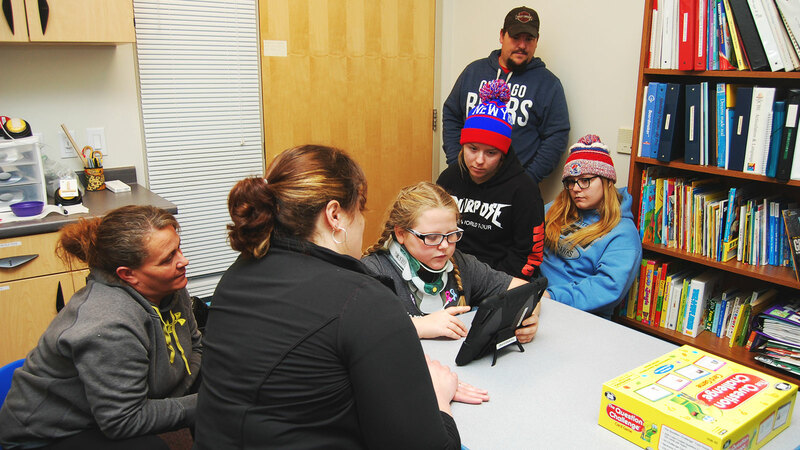 10-year-old Gracen was enjoying Christmas break in Wisconsin with her family when the snowmobile she was riding with her parents suddenly collided with another snowmobile. Despite wearing a high-quality helmet, Gracen was knocked out. In the 20 minutes between the collision and the ambulance’s arrival, Gracen’s parents, Rod and Laura, performed CPR when she stopped breathing. They had no idea what the scope of her injuries were, or how permanent the physical or mental damage might be. She was airlifted to an acute care hospital in Duluth, Minnesota. Three days later, Gracen woke up, unable to move the left side of her body or speak. She had a fracture at the base of her skull, a severe traumatic brain injury, and a torn muscle in her left shoulder. After six days, Gracen finally began speaking; after twelve, she was ready for intensive therapy. 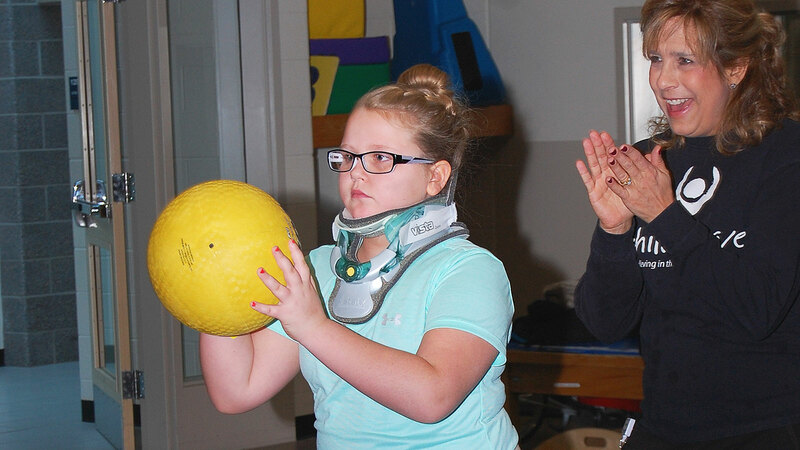 Her parents and the caretakers at the hospital choose ChildServe for Gracen’s rehabilitation process because they knew she would be cared for by an entire team of pediatric rehab specialists. By the time Gracen arrived at ChildServe she had regained movement and feeling in her left leg, but she couldn’t move her left arm. Her first accomplishment in ChildServe’s inpatient therapy program occurred over the weekend. Laura noticed that the therapy team found many ways to keep Gracen focused and working toward her goals. 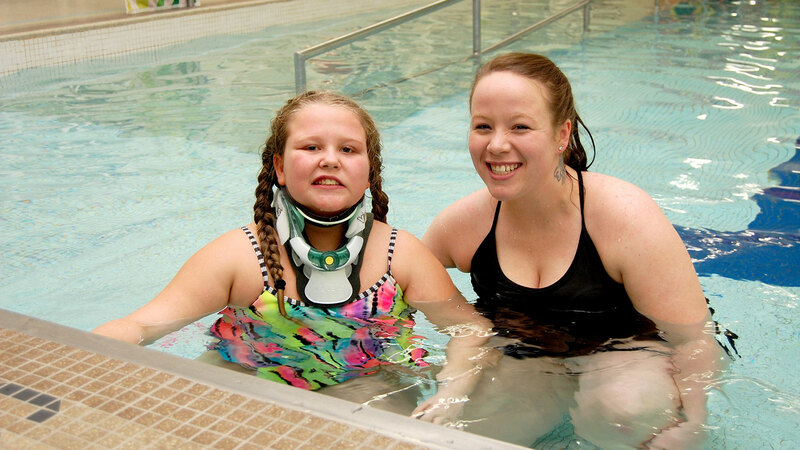 Gracen loves to swim, so her therapists motivated her to complete difficult therapy tasks by using swimming as a reward. 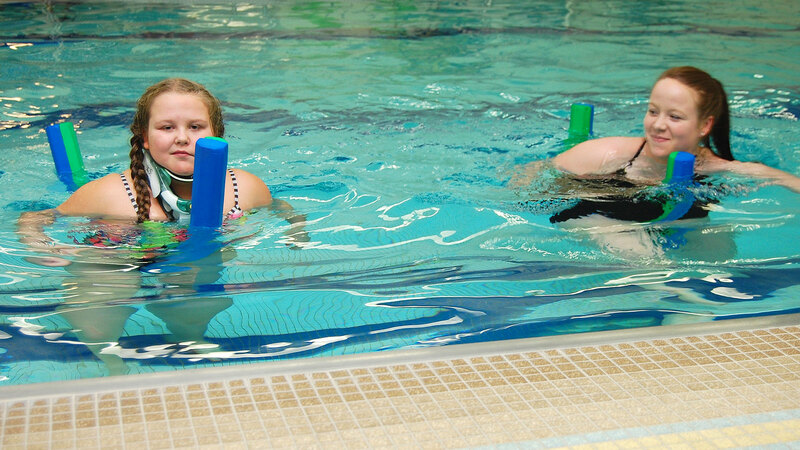 ChildServe’s Aquatic Therapy program allowed Gracen to bring more swimming and play-based activities into her intensive therapy sessions. 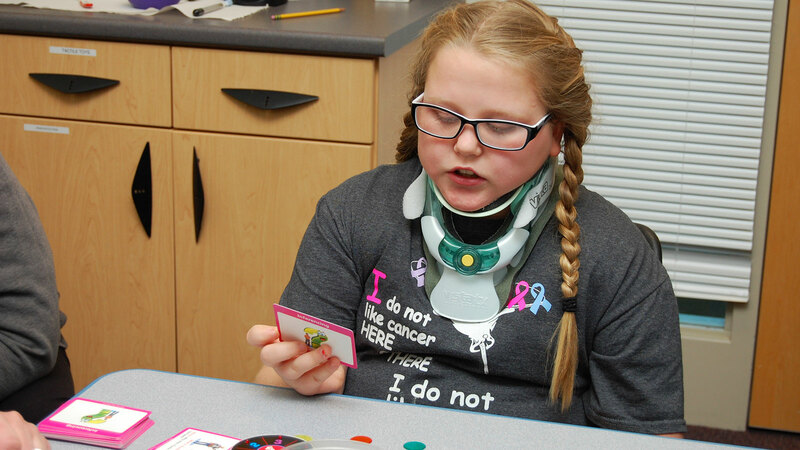 Due to lingering dizziness from her brain injury, Gracen’s therapy team also focused on helping her safely perform daily tasks like dressing herself, taking showers, brushing her teeth, using the stairs, balancing, and sleeping in her own bed. When she first came to ChildServe, Gracen’s team was especially concerned about safety while sleeping. A posey bed has protective netting that creates a tent over the top of the mattress to keep children like Gracen from falling out of bed, or getting up by themselves and falling. Even though Gracen’s team of professionals came from different specialty areas, strong communication helped them monitor Gracen’s progress. By creating a strong partnership through clear communication about care plans and goals, ChildServe staff helped Rod and Laura regain a sense of control during Gracen’s recovery period. As Gracen grew stronger and prepared to move home, ChildServe staff helped the family prepare for what steps would come next.